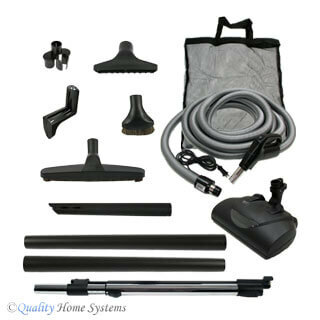 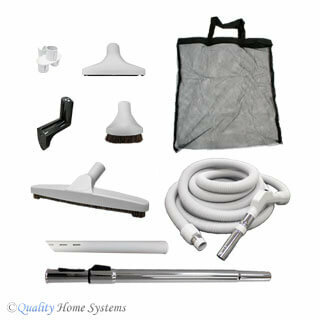 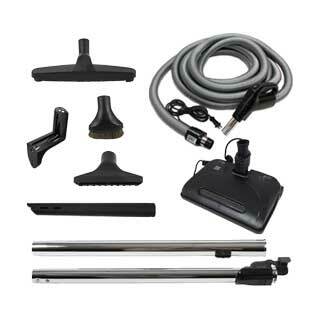 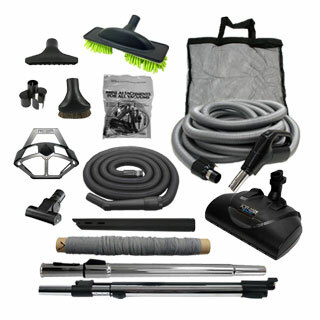 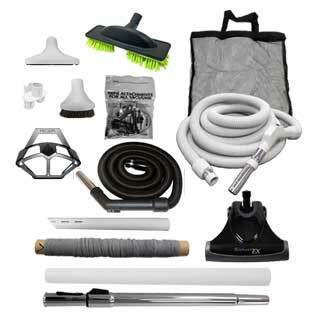 At Quality Home Systems, we offer one of the industry’s largest selections of central vacuum accessory kits. 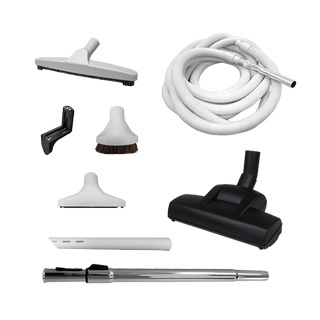 Our brands include Preference, AirVac, Cen-Tec, Electrolux, Eureka, Hayden, Honeywell, Hoover, Nutone, Vacu-Maid, and Wessel-Werk. 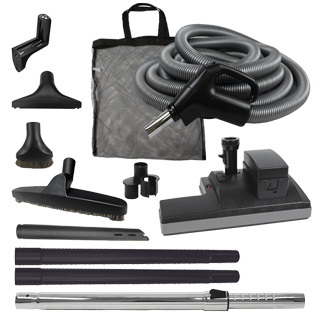 A central vacuum attachment kit typically includes a hose, wands, cleaning attachments, hose hanger and in most cases, a powerhead for carpet and area rugs. 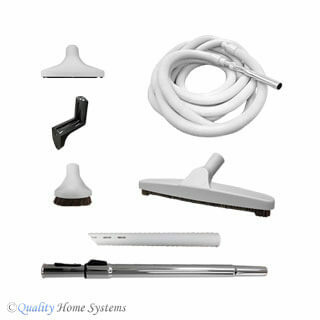 Standard cleaning attachments are smooth floor brush, dust brush, upholstery tool and crevice tool. 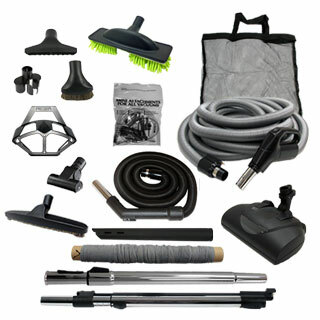 In addition to manufacturer's kits, we offer our Preference line that we assemble using components that are the same or similar to those in manufacturers’ kits. 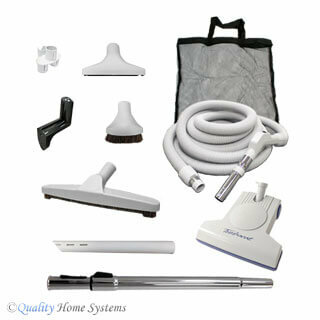 You will find more choices and a better value in the Preference brand. 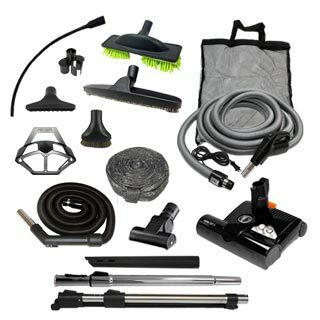 Please contact our friendly experts if you need help determining the best central vacuum tool kit for your home.